Staples are appropriately named: after all, they help hold together a healthy diet that might otherwise fall apart. They’re not the most glamorous part of a healthy diet, nor do they receive much glory. But these dietary “utility infielders” are inexpensive, versatile, and long-lasting. Once you commit to eating more healthfully, one of the first and most important steps is overhauling the staples in your pantry. If you don’t get the basics right, you may find yourself sabotaging your efforts without really knowing how or why. We’re here to make sure that never happens. To that end, here are the top items you’ll want to keep on hand to keep your food fresh, lively, and satisfying. Got a craving for chocolate that won’t go away? Who says you can’t give in? 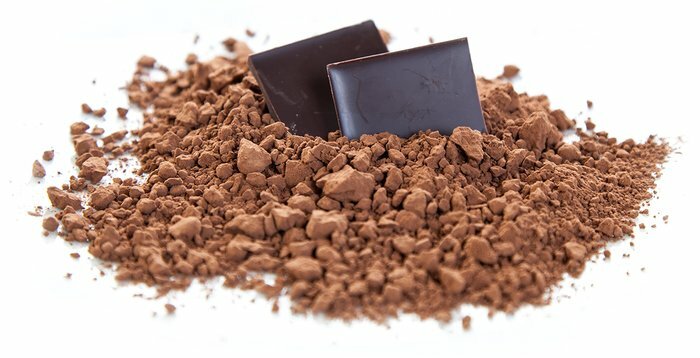 Try preparing a delicious treat using unsweetened cocoa powder. Trading in handfuls of Hershey’s for this alternative not only cuts down on sugar content but also ups your intake of dietary fiber. A quarter-cup serving contains just 49 calories, 2.9 grams of dietary fat, and 0.4 grams of sugar, while boasting 4.2 grams of protein and 7.1 grams of dietary fiber. It’s hard to beat that nutritional profile. Add some unsweetened cocoa powder to almond milk, sprinkle in a touch of stevia, and heat over medium, and you’ll have a delicious mug of hot cocoa in minutes. If you’re craving a late-night snack, add some cocoa powder and stevia to vanilla casein and low-fat milk for a delicious high-protein chocolate pudding. For an everyday treat—or flavorful change of pace—add cocoa to protein shakes and pancake batter, or even stir it into Greek yogurt. If you love baked goods, but don’t love all the refined carbs that come with them, try almond flour. 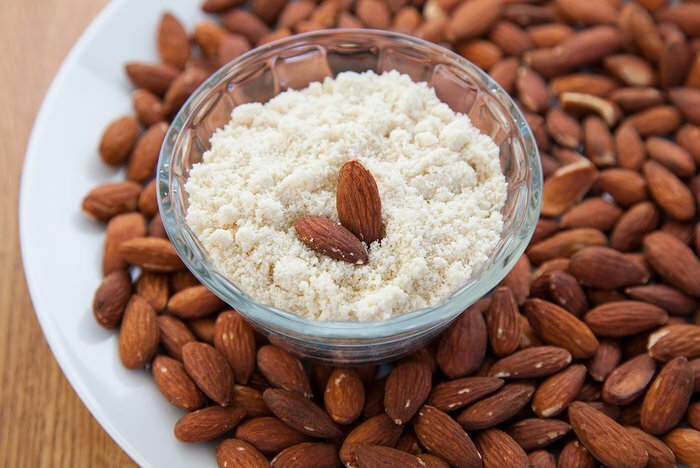 Almond flour is much lower in carbs than traditional all-purpose flour, it’s virtually sugar free, and it provides an excellent healthy fat source in your diet plan. Just 100 grams of almond flour contains only 2 grams of carbs. Compare that to the 76 grams of carbs in the same amount of all-purpose flour. Just about anything that is normally prepared with white flour can be made with almond flour. That means cupcakes, muffins, cookies, and brownies can all still have a place in your diet—the protein versions, of course. If you are looking for a simple way to add delicious flavor to your dishes, balsamic vinegar can help. When mixed with a little olive oil, balsamic vinegar is great drizzled over a salad or paired with steamed vegetables. 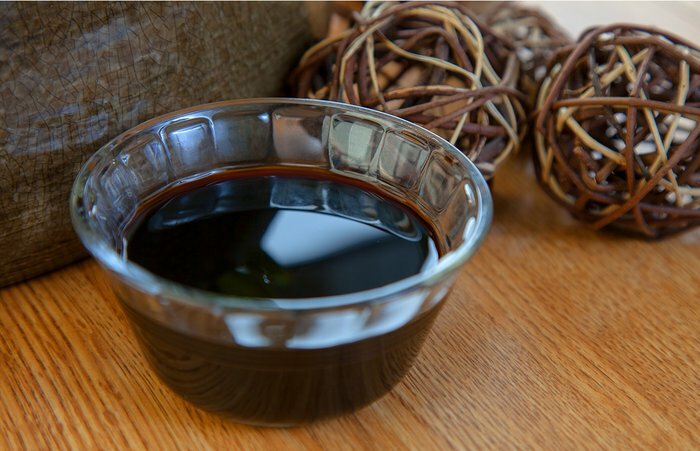 Balsamic vinegar also adds a perfect finishing touch to soups and sauces, and it’s great for marinating. The tangy, savory touch can turn the same-old protein into a delicious dish you can’t wait to serve. No pantry would be complete without adding some nuts into the mix. Nuts are a highly versatile food. You can add them to salads, stir them into your baking mix, toss a few into your morning bowl of oatmeal, or simply eat them on their own or as part of a high-energy trail mix. 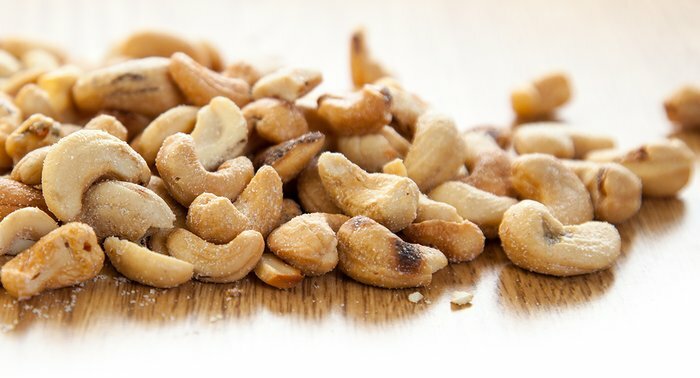 Most people turn to almonds or peanuts to fill their nut craving, but try and break away from that every so often. After all, variety is the spice of life. When you’re looking to try something new, the kidney-shaped cashew is a great way to go. Cashews are a rich source of antioxidants and heart-healthy phenolic compounds. They also boast a distinctly delicious taste that leaves its mark on any dish. For something really special, get some cashew butter and use it in place of regular peanut butter. It’ll give cookies, smoothies, or even that slice of Ezekiel bread you eat in the morning an interesting new twist. If a seemingly never-ending supply of brown rice is a familiar item on your diet plan, your nutritional boredom should come as no surprise. While it’s definitely one of the healthier complex-carbohydrate sources, it’s not your only option. 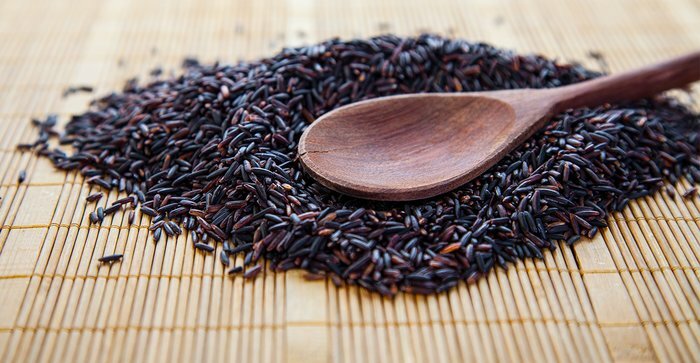 With a nutritional profile of 166 calories, 6.5 grams of protein, and 3 grams of dietary fiber per cup, wild rice is an excellent alternative. Similar to brown rice, wild rice is a good source of insoluble fiber, which can help regulate appetite, support blood sugar control, and aid weight management by helping you feel fuller between meals. The nuttier aftertaste also makes it a perfect way to add enough variety to your meals to keep you interested in healthy eating. Ever wonder what gives Chinese food that unique taste? While some plates are loaded with MSG—which you don’t want to include in your diet plan—authentic Chinese cooking involves sesame oil. 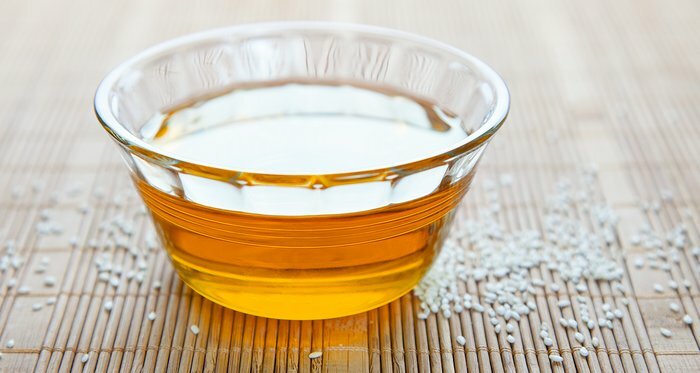 This oil isn’t overly strong, but it does give the foods you use it with a fresh, light flavor that is much different than what you’d get with olive oil. Refrain from too much high-heat cooking with sesame oil. Instead, think of it more as a condiment that you’ll add once cooking’s nearly done. Brush it over meat before it’s served, drizzle it over cooked vegetables, or toss it into a whole-wheat Asian noodle salad for a delicious dressing. Another quick-and-easy way to add more flavor to healthy dishes is to swap plain water for low-sodium broth. Whether you choose a vegetable-based broth or go for chicken, this virtually calorie-free addition will add light flavor, reducing the need to add butter or any other calorie-compounding ingredients. Adding broth to a light stir-fry can help you cut back on added oil, while pouring some into your mashed sweet potatoes adds a light-and-fluffy texture. Boxes of low-sodium broth can keep in the pantry for months at a time, making this staple easy to always have on hand. Eating healthy often involves staying away from heavy condiments; many condiments are high in sugar, sodium, or fat. Dijon mustard is a loophole. 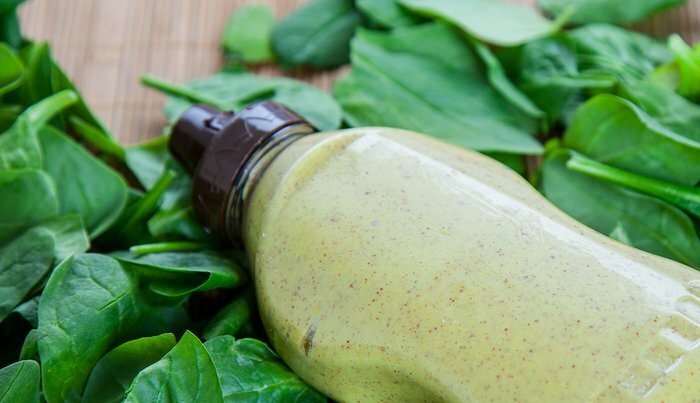 When most people think of mustard, they tend to think of hot dogs or hamburgers, but Dijon can also be used to create delicious sauces, salad dressings, or simply used on the side as a dipping sauce for your main protein source. Best of all, it’s low in calories and adds a nice, strong flavor to just about any dish you use it in. As anyone who has eaten egg whites for weeks on end can tell you, salsa’s a must-have-on-hand staple. Think of it as a healthy, low-fat, and nearly calorie-free sauce for any meal. You don’t have to whip up a healthy version of huevos rancheros every morning to make the most of that jar of salsa. Salsa can be mixed with light sour cream or Greek yogurt for a delicious dip, served on top of a homemade turkey or salmon burger for an added kick, or simply added to the side of your dish as a guilt-free condiment. Best of all, when you tire of one flavor, just reach for another. Between corn and bean, chunky tomato, and mango, you’ll never be bored. Ros, E. (2010). Health benefits of nut consumption. Nutrients, 2(7), 652-682. This article was originally published by Bodybuilding.com. Read the original article here.